It's the beginning of July, the perfect time to do a mini check up to see how far you've come in 2017 and of course to see how much more you've got left to come! In March I wrote a piece about what's on my bucket list. It needs a little bit of tweaking and some big ticks adding. For me I kicked off the New Year with a mini-adventure up to Norfolk. In February I learnt how to snowboard up at the Snow Centre. Then I got the fantastic news from KIND that I had been offered a place in the London Marathon. Training started and my time became full of Parkruns and training races. I did manage to squeeze a ski trip in too. The big day of the marathon arrived and I quickly followed that up with a Vitality Move training event with Jess Ennis-Hill the next day. A week later I joined Team Merrell for their opening event of the Tough Mudder season. I've been using Speedo's Make 1k Wet challenge as a way to rest my weary legs ever since. That and trying to answer the frequent question of "what's next?" This weekend I've got the Vitality Move event where I'll be running both the 5k and 10k at Jessica Ennis-Hill's running festival. I'll be joined by my best friend Rachel who is currently pregnant (my oldest and best friend is pregnant eeeeek!) and my sister Sam who will be running her first 5k!! !Then I'll be joining my boyfriend who will be running his first 10k! It should be a great day. Then, I've wanted to do one for forever and so I'm finally going to take on my first triathlon this summer at the Hertfordshire triathlon: of course any normal person would go for the shortest event with it being their first time. I'm going for the standard triatholon option of 1500m swim x 40k bike x 10k run and do you know what I'm so bluming excited and frightened at the same time. I still don't own my own bike but after taking the Speedo challenge it's totally got me back into swimming, granted the race will be open water and not in a pool but I can't wait. The cycling element is really important for two reasons. One because I'm taking part in the Strawberry 50, a 55 mile bike ride at the start of September with my family. My brother in-law suggested it and I jumped right on it and signed us all up. Largely the cycling is so important because I've already committed and paid for a HUGE cycle challenge with Challenge Sophie in May next year and need to start practicing. I often get asked how I find events and challenges. Often it's through word of mouth, lots of which comes from social media. I found a great website a couple of weeks ago via Instagram called Challenge Finder. They've done all the hard work and put together loads of challenges. That's how I found the triathlon actually. You can use the "near me" search function. I popped in Knebworth and there it was, there's a local triathlon. For all I know it's possibly a huge event in the triathlon calendar but I figured a local event sounded a lot less scary than the London Tri so it's a great starting point. 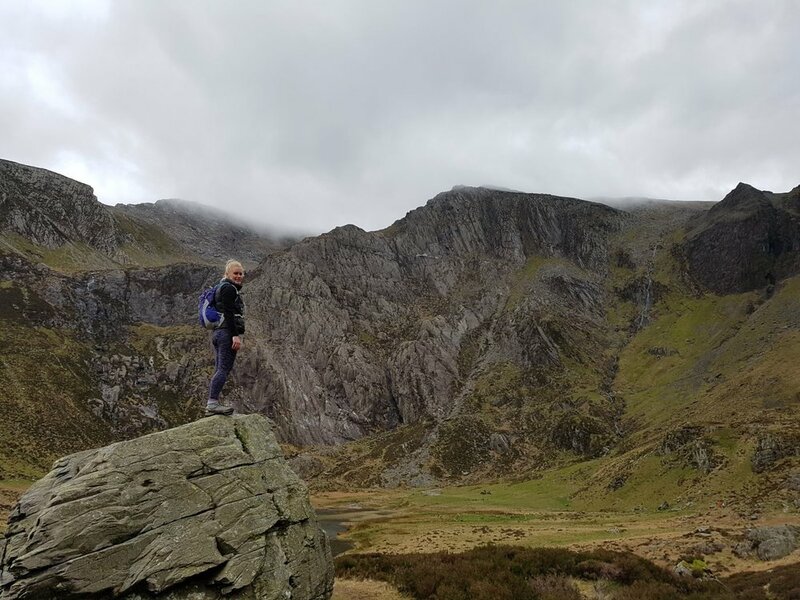 If you're trying to work out your next challenge and need a little bit of inspiration be sure to check out Challenge Finder as they cover everything from hiking to swimming to running. Then my big challenge this year is the Salomon Ring of Steall Skyrace. Whenever I think about this event I get that nervous sick feeling in my stomach which is how I know it's going to be one hell of a challenge. The race involves a 29k ridge run up in Scotland. It's described as: "This Skyrunning race route incorporates two lofty ridges within the Mamores, including the Devil’s Ridge, which provides a thrilling and airy traverse with Glen Nevis visible ahead and as a yawning drop far below, and Ben Nevis beyond and towering above." With such huge ascent and the requirement to carry your own survival/first aid kit, this race is scary but exciting and just the push I need. And in writing this post I've realised that I'm close to 17 big adventures this year. Here's the list so far, let me know if you have any great ideas for the final couple of entries. Run the London Marathon - one from the bucket list! Run 100km unassisted - this was going to be London to Brighton but I'm thinking of changing to a more inspiring route.